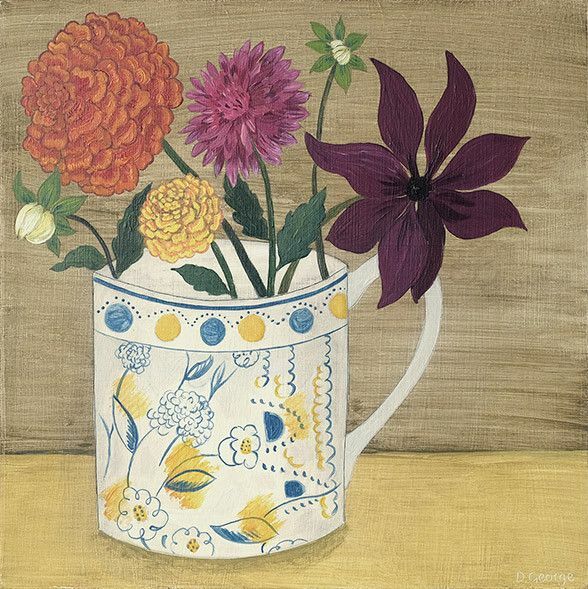 We are delig­­hted to be showing a new body of paintings by still life artist Debbie George. 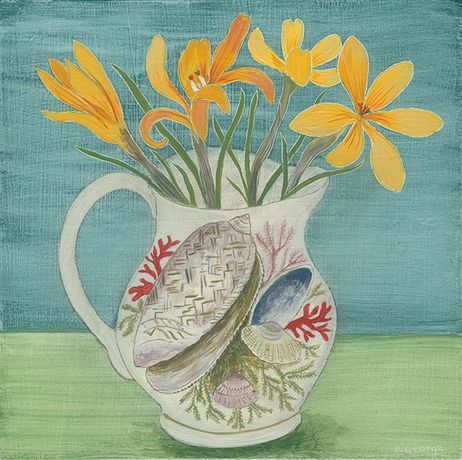 Debbie George’s work is a celebration of her passion for flowers and the objects with which she surrounds herself – from ceramics to fruits, feathers and stones. For a number of years now, Debbie has been collecting childhood ceramics from cups, bowls, jugs and plates and her new work will feature still life paintings featuring these endearing childhood scenes and words. Debbie primes her panels with the ancient medium of gesso; she builds up, layer upon layer of paint creating a wonderful luminosity and depth that she reveals by scratching into and through the layers: an inscribing that she also uses to emphasise form. 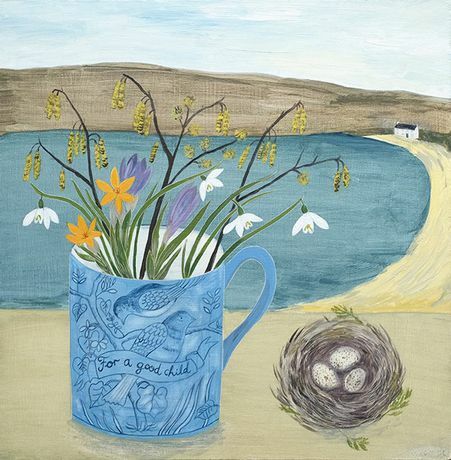 Debbie’s paintings are exhibited widely throughout the United Kingdom. She has galleries in Cornwall, Norfolk, Cambridge and London. 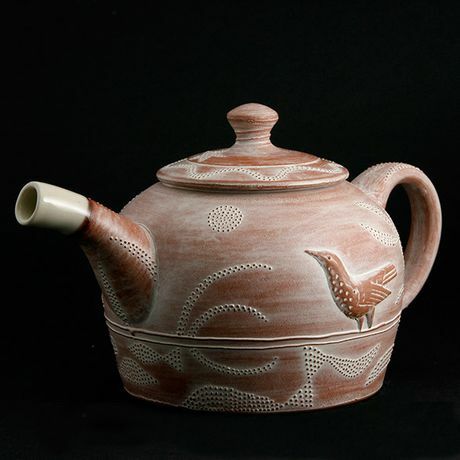 Showing alongside Debbie George is potter Philip Wood. 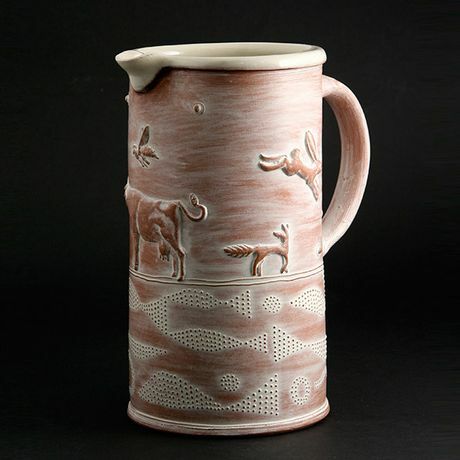 Philip was first attracted to pottery through stoneware rather than earthenware but, discovered over time, that the English tradition of earthenware had a greater resonance for him, his Englishness and the way he lives. His work encompasses so much inherited memory and instinct that it proves to be deeply and lastingly attractive. His very personal, considered and quiet approach allows the viewer free reign to consider what each image, shape and combination of textures means to them.